The quintessential embodiment of jazz in the 1920s. 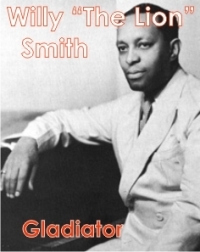 Know for playing parties and small clubs away from the recording studios, Smith built his reputation on being a musical "gladiator at heart." He was always competing, always up for a challenge. "The Lion" cruised Harlem like he owned the place, and at least in front of the piano, he did. He was largely responsible for developing the "Harlem stride style" of playing piano. 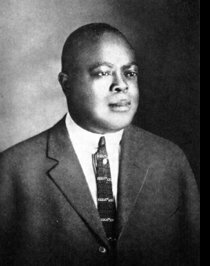 Born Ferdinand Joseph LaMothe, is known as one of the greatest of the New Orleans jazz composers. Morton, a famed braggart, even claimed to have "invented jazz" as a whole. 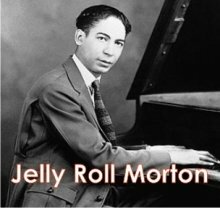 While this is not true, Jelly Roll Morton did have an enormous impact on other 1920s musicians who followed in his footsteps. Much like the rappers and MC's of the modern music world, Morton had a knack for self-aggrandizement, he invented stories to suit his persona and add to his personal mythos. He went as far as to deny his African-American heritage, calling himself "Creole" instead. But, Morton also had the musical chops to back up his bragging. The period he spent in Chicago from 1923 to 1926 were the most productive and fruitful years of his career. During this time he founded and led the "Red Hot Peppers" and began referring to himself as "the world's greatest hot tune writer." Surprisingly little is known about Oliver because he left no interviews about his interpretation of jazz or his vision of music, as a whole. It's been said that Oliver took 10 years to refine the tone of his coronet, so he could blend the sound seamlessly into his band . It's kind of a shock, given Oliver's desire for jazz to be a collective sound, that the most famous jazz soloist Louis Armstrong would rise out of his band. But it's been said that at the time without Oliver's band, at that specific point in music history, that Armstrong may have never risen to the heights that he achieved. He wouldn't have been able to stand out as a great 1920s musician if there were many soloists in the band. Because he stood at the front and center of King Oliver's New Orleans Jazz Band, Armstrong both helped make the band a huge success and hastened it's demise. The first great soloist of the 1920s musicians. 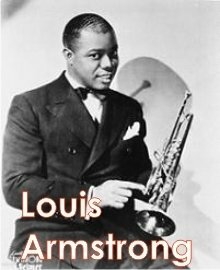 Armstrong's legend rose because of the New Orleans style jazz that stove for a more collective sound with all instruments playing in harmony. Armstrong's horn could not be muted. His influence was pervasive and throughout the course of his long career he would create a lasting legacy for the Jazz Age, and would leave a lasting mark on music and celebrity as a whole. Known in the early years as "the only man who seemed to be Louis Armstrong's equal as an improviser." Like so many other 1920s musicians, Bechet emerged from the New Orleans jazz scene. A clarinet player, Bechet became famous for his refined style and tone. He took the clarinet to new heights as an instrument that could be featured in a solo. He was at home improvising a solo or blending himself into the band. Took a new and modern approach to playing the trombone in a jazz setting. 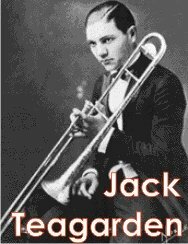 He is regarded as the finest trombone player of the Jazz Age. He had few predecessors to emulate. The trombone had been primarily used as a supporting instrument in a jazz band and wasn't used as a "solo voice" until Teagarden came on the scene. One player who did heavily influence him was named Miff Mole. 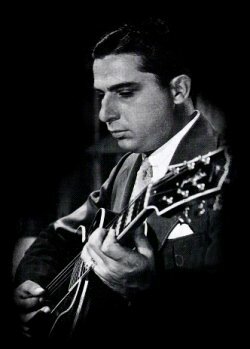 Teagarden worked profusely during his career, teaming up with many famous 1920s musicians. He traveled frequently between New Orleans, New York and Chicago. 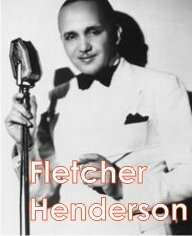 During this time he recorded many famous tracks with people like Glenn Miller and Benny Goodman. 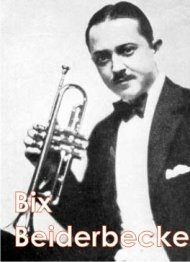 Leon Bismark "Bix" Beiderbecke, was born on March 10, 1903 with an ear for music. He played by ear, never learning how to read music. His parents were concerned with his interest in jazz at an early age, choosing to send him to a boy's academy close to Chicago. This was a fateful choice since Chicago was the hub of jazz in the 1920s. Beiderbecke was within close range of the greatest jazz city in the world, choosing often to skip out from his dorm room to frequent the jazz halls and nightclubs of Chicago. Beiderbecke's first band, "The Wolverines" took their inspiration from the New Orleans jazz style. Bix's music at the time only hinted at his overall genius with a trumpet in his hand. Simple solos marked the haunting style and tone that would later make his horn so famous. Beiderbecke's career and life was cut short by his desire for booze and fast lifestyle. He left a lasting legacy in the world of jazz and makes many wonder what could have been had his career been longer. 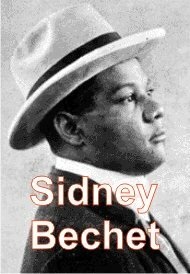 Born April 29, 1899 in Washington D.C. His musical eduacation started early with Duke hanging out around the pool halls and burlesque shows where he heard the new sounds of Ragtime. 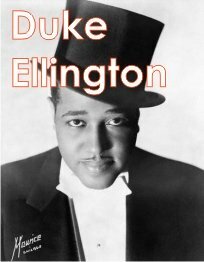 On his late teens Ellington moved to New York City where he struggled and eventually began leading a band at "The Club Kentucky" backing the famous female 1920s musicians, singer Ava Smith. The 1920s were good to Ellington, he made a name for himself with his talent, ear for harmony, and tireless work ethic. He defined a unique sound during these formative years. While he has often been accused of not being the most original of the 1920s musicians, Ellington's work is without peer in his ability to create harmonious teams of musicians, and his ability to frame the individual's strengths and hide their weaknesses within his bands. Often overlooked as one of the great 1920s musicians, but his impact on jazz music cannot be denied. He was an integral part of 1920s jazz, and helped define the later style of "Big Band". As a band leader has often been criticized for being the opposite of Duke Ellington, not displaying good leadership while orchestrating his bands. However the quality of the musicians he chose to play for him is without peer.